It's been a while but real life duties once again did the job and pushed the hobby onto the side tracks. 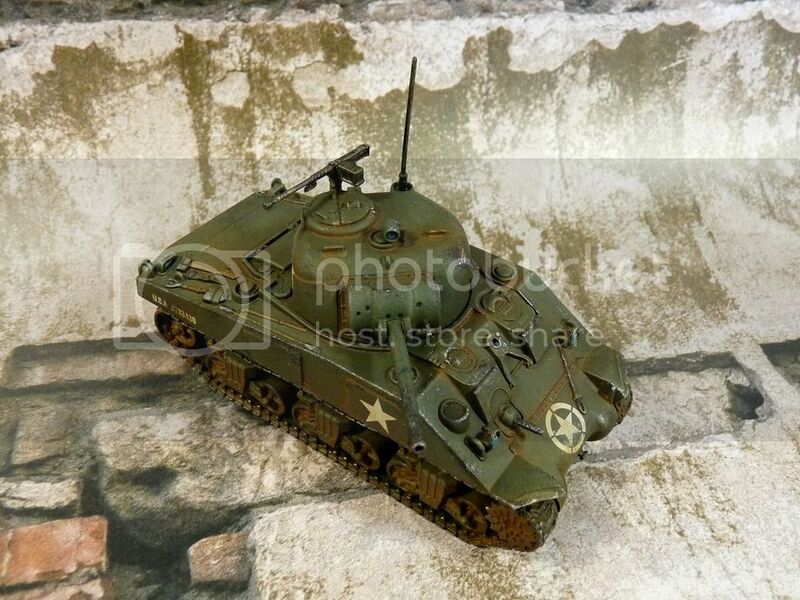 Trying to make things right again decision was made to work on the M4 Sherman model painted over 2 years ago. There was nothing wrong with previous paintjob but I needed carrier for Calliope missle launcher battery which by bro delivered for the birthday. Besides there were some other things to test like new paints, Vallejo mud and is oldie airbrush still reliable (it's totally fucked at this moment if anyone asks). All in all I like the result, looking forward to see it in action - blasting hordes of advancing nazis straight back to Satan! Or wherever else they came from! Ka-boom!! !